Designing the perfect solution to our customer’s needs. Tell us what you want and we will work as an extension of your engineering department, interfacing with your team using design software such as Solid Works, Mastercam and Latec. We bring creative thinking, precision engineering and our superior technology to bear on every project. Impact Cases, is a leading manufacturer of Custom Cases in North America. When you require more than an off-the-shelf solution, turn to Impact. We have the experience and design expertise to provide you with exactly the right aluminum case tailored specifically for your application. Our staff of engineers and designers can satisfy the most complex and unique design requirements. Unlike the competition, Impact’s customer-centric approach to original design puts you in control, with a process that ensures total satisfaction. Talk to one of Impact’s knowledgeable technical representatives. Compile and review all details. Upon receipt of your order, Impact’s design department will contact you to review and confirm your requirements. The design phase begins. Upon completion, you will be forwarded a design package in one of the following formats. Depending upon the complexity of your requirement, a conference call may be organized with an online review of your design. Simpler design requirements may only require you to review, provide comments and / or sign-off (in the event that you are satisfied with the design). Phases 3 and 4 repeat until all outstanding issues are addressed and you are completely satisfied with the design. Upon receiving your design approval, production grade drawings are generated and the work order is passed over to manufacturing. The product is manufactured to spec and shipped to you. Original design is our specialty and our passion. 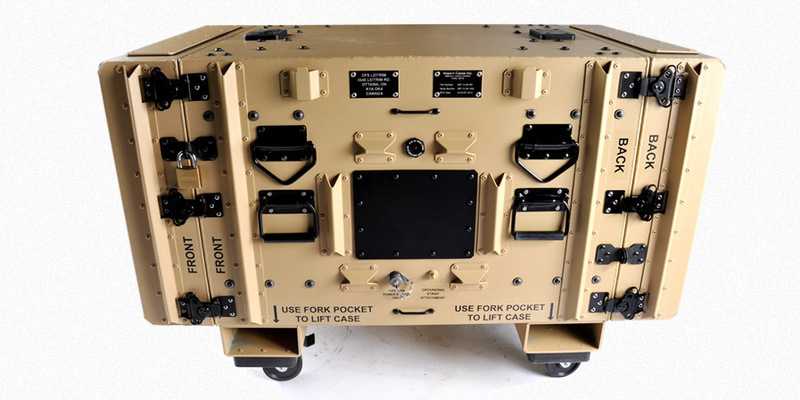 No matter the challenge, Impact Cases can design, engineer and manufacture the ideal case for your payload, whatever the destination. An international list of satisfied clients have relied on our creativity and our 40 years experience to deliver what others simply could not.